Though they sometimes get bad press in the financial media, business cash advances can be an unbelievably useful tool in the hands of a smart business owner. Though they’re not a silver bullet for every situation, your business can oftentimes benefit from these quick, simple transactions. But only if you can avoid the following five business cash advance mistakes that too many business owners make. Maybe the most common mistake business owners make in regards to business cash advances is that they frequently won’t consider them as an option at all. Owners assume that because they often look expensive (more on that later) and so much unlike other forms of business loans that they must be some kind of scam. But that’s like throwing away a teaspoon because it can’t cut a steak: if you’re not seeing the tool in its proper context, you’re missing out on just how useful it can be. So before you cross them off your list of options, make sure you fully understand how business cash advances work. That knowledge can be the difference between the right financing – the kind that helps build your business – and the kind that can torpedo the whole thing. 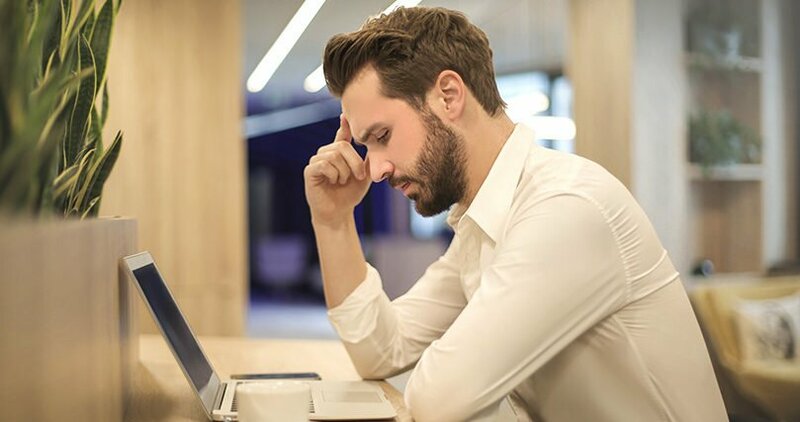 On the other side of the coin, owners will frequently make the mistake of latching onto business cash advances right off the bat, which can easily lead to missing out on an alternative product that could better serve their needs. Much of that decision-making error comes down to borrowers mistaking simplicity for quality. Sure, business cash advances are simple to apply for. The money appears in your account very quickly. They’re available to borrowers with poor credit. All of the above statements are true and are big benefits of merchant cash advances. However, these great benefits don’t happen for free. Rates for business cash advances tend to be higher than other financing choices. It’s possible to end up paying more than you’re prepared for if you’re not careful. The answer is that some owners miss great opportunities for their companies out of fear of using a business cash advance. Think of the benefits. What kind of situations could arise in your business that could require you to bring in large amounts of cash very quickly? What if a wholesaler offers a one-time deep discount on a large supply of a product you sell? Such an opportunity could provide you with a perfect way to become more profitable (by paying less for your product) and produce additional revenue. If the wholesale provider has other potential buyers, you’ll want to be sure that you can get the necessary funds quickly. A business cash advance is a great answer. Or imagine you run a restaurant and just before your busy season, your walk-in refrigerator dies. You need to replace one of your most important pieces of equipment very quickly in order to salvage the busy season. A business cash advance can help. You could be considering expansion. If the perfect retail space becomes available unexpectedly, you need to move quickly to beat out the other multiple bidders for the space. A merchant cash advance could provide you with the money you need to submit an offer with the winning down payment. Business cash advances are just like any other tool: extremely useful in the right context. And just like a tape measure won’t help you drive a screw, nothing else can do exactly what a business cash advance does for a small business. The money you pay to borrow capital in a business cash advance is called a factor rate – a number typically expressed as a number between 1 and 2. Multiply this number by the amount you’re borrowing, and you’ll learn just how much money you’ll need to repay to cover the costs. While a factor rate sounds very similar to an interest rate, there’s a key difference: factor rates are calculated on the day you sign the agreement. This means that no matter how quickly or slowly you repay the money, the amount you pay for it will not change. Compare the process of paying a factor rate to a typical interest rate. When you make payments on a typical loan, the principal balance decreases. And when interest is calculated again, it’s calculated based on that new principal balance. But if your loan doesn’t have a defined term, your principal could now actually be greater because of the impact of compounding (where interest accrues even more interest). Since factor rate payments are typically made as a percentage of daily income, high sales mean high payments while low sales mean lower payments. This is wonderful, but it doesn’t affect the fact that you will still pay the amount you agreed upon when you took out the advance. One of the great benefits of business cash advances – the automatic withdrawals – is also one of the biggest drawbacks of a traditional loan. Oftentimes entrepreneurs can mistakenly assume that their income and revenue will remain steady at all times, leading to equal-sized payments and no disruption in cash flow. However, the world doesn’t always work exactly how we want to. If you assume you’ll maintain steady revenue and then find yourself having a light week, two weeks, or month, those tantalizingly simple monthly payments on your term loan will suddenly be contributing to a serious problem finding enough cash to simply keep the lights on. But with a cash advance, you have the benefit of having your payments pegged to your incoming revenue. So you won’t be stuck with a payment that you can’t afford to make. Even with this benefit you’ll still have to treat paying for a cash advance just like you’d treat paying for a loan. Business cash advances that aren’t fully repaid in the agreed-upon time can still result in calls from debt collectors, seizing of assets, or even legal action against your business. Prevent any problems by preparing a business plan which takes into account the everyday randomness that comes with owning your company. Have a plan B. But whatever you do, don’t let yourself be intimidated by these five mistakes that trip up so many entrepreneurs when they use a business cash advance. In many circumstances, they can be the difference between your business’s success and failure. Should You Hire An Accountant for Your Small Business?